Check out this quick interview with Literary Asylum. 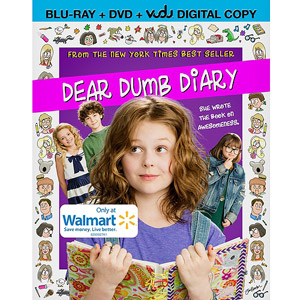 Learn about the cover development for Dear Dumb Diary, at Blu Penny. You can read Jim's interview with Girls' Life Magazine here. 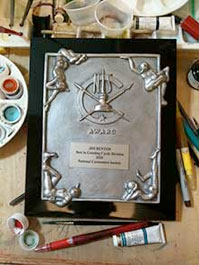 The National Cartoonist Society awards Jim Benton a 2011 Reuben Award in the category of greeting cards! Jim nonchalantly flips it over to read the price on the back. Thanks for the nice endcap Barnes and Noble! 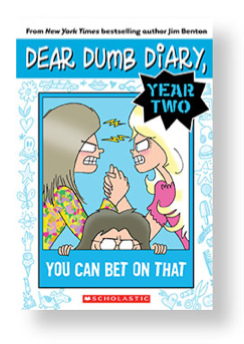 The newest book in the best selling Dear Dumb Diary series is here! 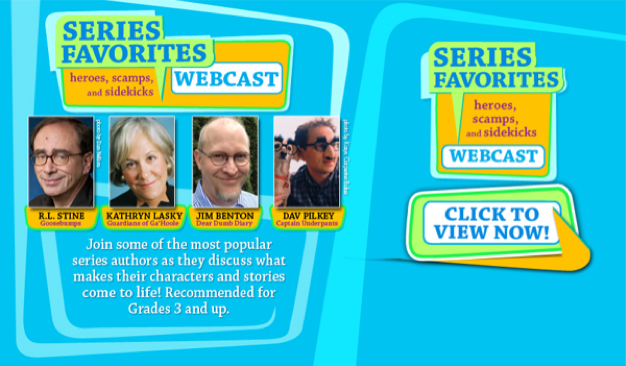 A recording of the live webcast is available now! Can't view the video? Click here for the YouTube link. DVD at Walmart and order the soundtrack (or movie) on iTunes, today! 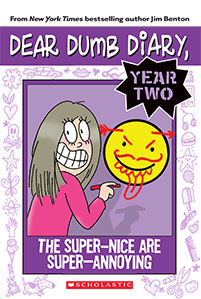 Order your copy of Dear Dumb Diary Year Two, #5 today!